The days are short, it gets dark early and its oh so very cold! The winter can be a tricky time of year to navigate in terms of fashion – after all, it is hard to look elegant as you rush through the cold streets attempting to avoid puddles with vision limited by copious amounts of knitwear wound around your face… It becomes increasingly tempting to choose comfort over style and give in to the snow boots, thermals, and blanket scarves. However, help is at hand! For all those budding fashionistas that are insistent on embracing the Snow Queen glamour of the Winter months and have never even been slightly tempted by huge, bobbly woollen tights – this is an article for you. A concise compilation of advice on how small additions or amendments to outfits can steer you clear of a snowman style fashion faux pas! 1. Fur! And by that I of course mean faux fur, we certainly do not our outerwear being traced back to Peter Rabbit. One of my favorite accessories this year has been my fur snood, which is unbelievably soft and functional, as well as making me look like a glam 50s movie star – we all can dream. I would certainly recommend investing in one of these bad boys, try to find one that is voluptuous enough to retreat into entirely on those freezing morning commutes. 2. Embroidery: Embellishment is very on trend this Winter and I have most certainly been jumping on the band wagon – more is more is more. Add a glamourous twist to a daytime outfit by adding an embroidered hat, bag or even jacket. The shops are full of great ideas, so get browsing, be brave and invest in an item that will add a bold and confident dimension to your wardrobe. 3. Glitter: Okay, there seems to be an excuse to pretty much wear glitter all year round these days: festivals, Halloween, Christmas… whatever next! But really, the festive season is the original glitter season and I WILL be making the most of it. My favorite way to do this is to invest in a good quality glittery eye shadow in a classy, feminine shade – think greys, coppers, gold – and pack it in your work bag, ready to whip out in the toilet before an evening do, Christmas party, spontaneous festive sesh. I should note – you really do not want to be wearing this stuff heavily in the day time. People will presume that your carefully crafted Christmas smoky eye is a relic of the night before, and we do not need any glitter-provoked speculative gossip spiraling out of control before the Xmas party has even kicked off! 4. Sequins: Again, the shops are absolutely full of these sparkly wonders at this time of year, so no excuses, get out there and buy sequined covered hats, bags, shoes, trousers, knickers…. You name it – they’ve got it! My favorite in this department are these bloomin’ gorgeous sparkly shoes by Pink Paradox London. They are the ultimate in festive and feminine statements – shiny, sparkly, skyscraper-high, with all this counteracted by the most gorgeous, industrial pewter color. Wear them to a party, wear them to all the parties – I will be wearing mine to work every day for all of December and there is not a soul in the whole wide world that can stop me! 5. Metallic: Bang on trend and easily integrated into every style. Add a subtle metallic jumper to glam up your daytime office look, or go the whole nine yards and sport one of the eye-catching metallic dresses adorning shop windows near you. This can either be dressed down with tights, flats and a chunky cardi – or – dressed up, with the previous mentioned Pink Paradox shoes, a huge faux fur coat and, well, all the sequins, glitter and embroidery in London. Its Christmas darling – why not! 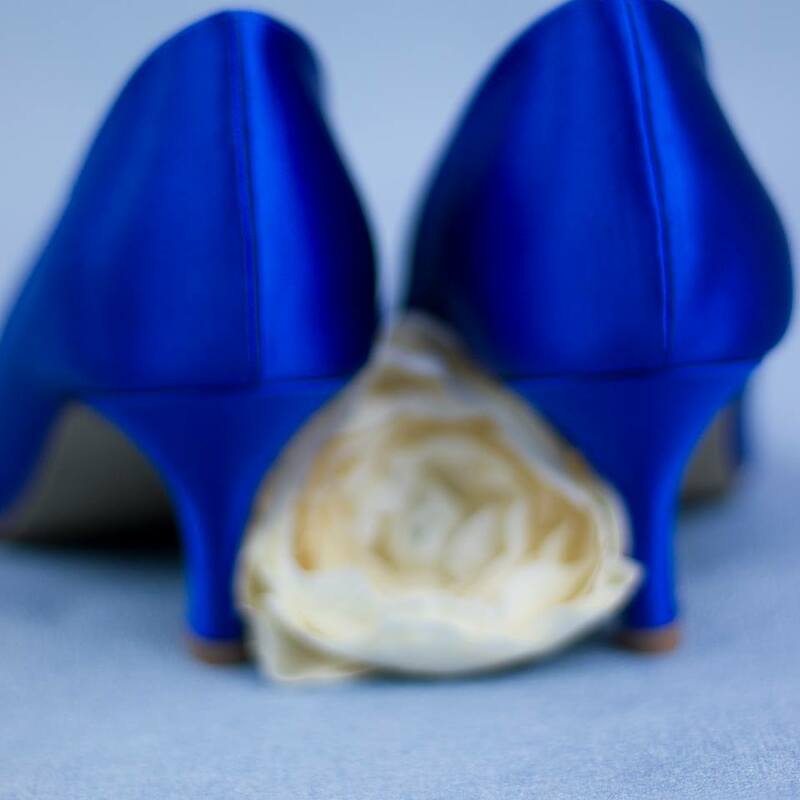 Pink Paradox London is a global Wedding Shoe company supplying high quality, comfortable bridal shoes suitable for all seasons. 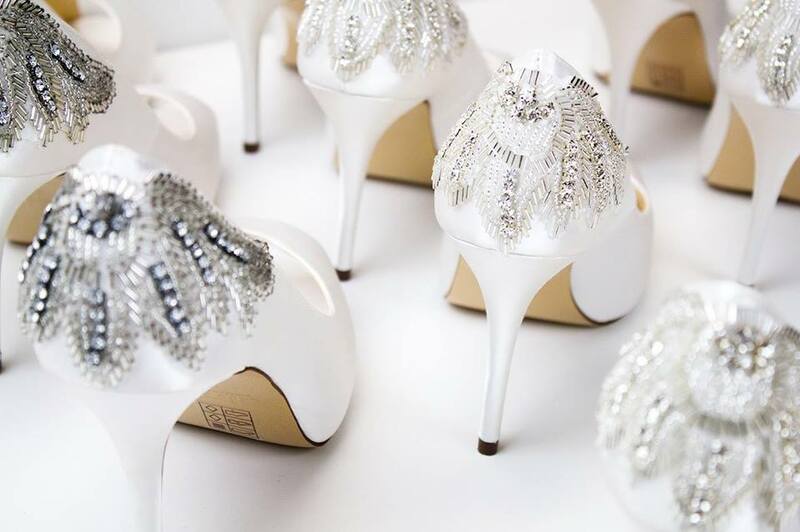 Starting as a family run business over 30 years ago, today Pink is an award winning brand and regarded as one of the leading bridal footwear providers in the world.